PHUKET: The Miss Grand Thailand 2018 contestants from 77 provinces across the country were at the Baan Khanun Homeless Dog Shelter in Thalang yesterday (July 1) to take part in activities that also saw more than B1 million donated to help improve conditions at the facility. 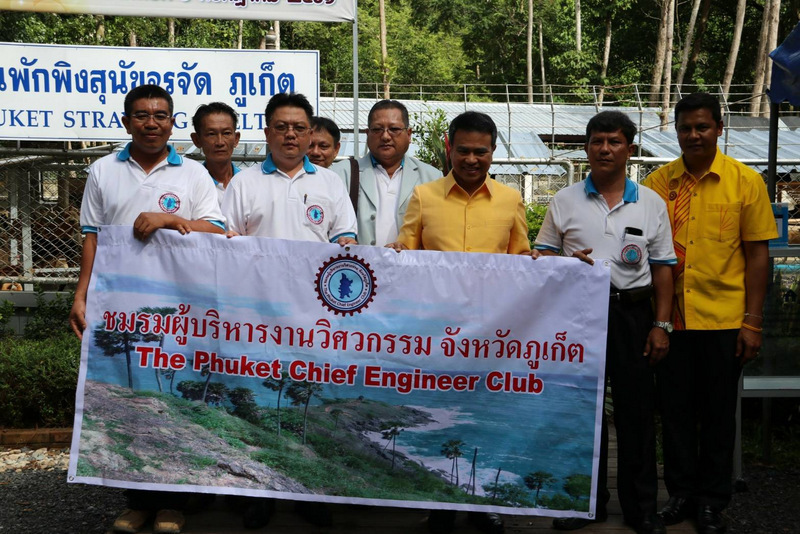 Phuket Governor Norraphat Plodthong welcomed the contestants to the site at 9:30am, along with a host of local officials and local residents. The Miss Grand Thailand 2018 contestants arrived in Phuket on Saturday (June 30) and will visit well-known locations throughout the province until next Saturday (July 9), Gov Norraphat explained. “During their visit the contestants will join community activities, help promote cultural tourism and support the good image of Phuket tourism in all dimensions,” he said. At the dog shelter yesterday, the bevy of beauties helped to paint the walls and fences of dog houses to improve the image of the dog shelter. 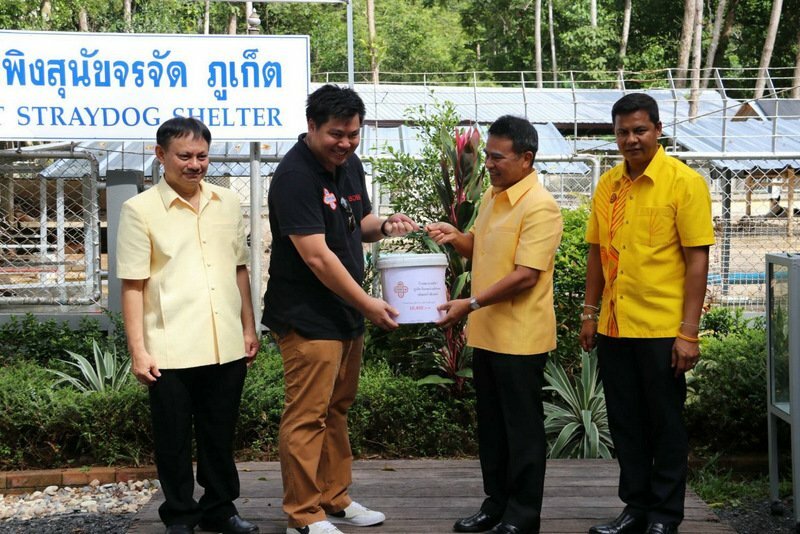 Gov Norraphat explained that the Phuket Provincial Office had supported the budget to improve the dog shelter to be a clean, hygienic home, and included the funds to provide a waste-treatment system, for the over 600 dogs currently kept at the facility. Also, the Phuket Sustainable Development Foundation had made donations to support the expense of providing food for the dogs, he added. The local government administration had provided the budget for the facility to hire more staff to take care of the shelter, Gov Norraphat said. As part of the activities yesterday, Governor Norraphat received donations from five private organisations and from the Phuket Sustainable Development Foundation totalling B1,801,000. 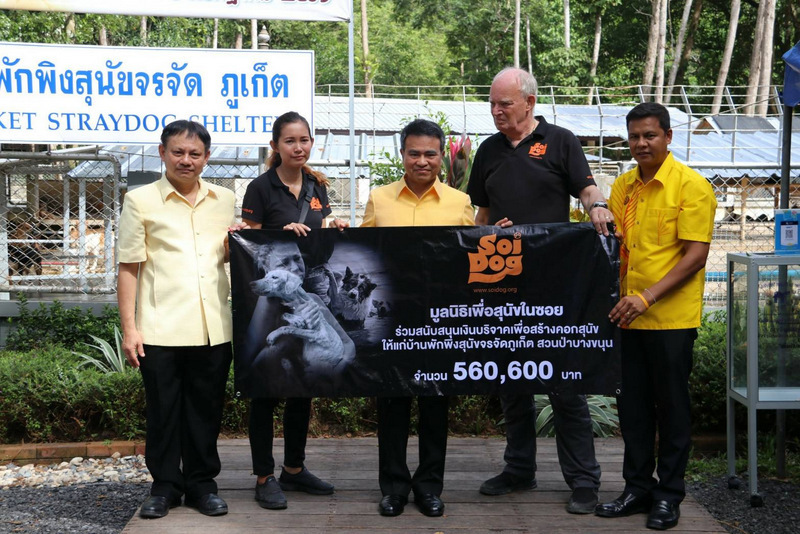 Phuket’s renowned Soi Dog Foundation (SDF) alone donated B560,600 to the cause, with SDF Founder John Dalley present in person to hand over the donation.